Was Ché Masilela killed? Angry weapons dealer decides to talk. Explosive new allegations that former secretary of defence January “Ché” Masilela and controversial international arms dealer Ivan Monsieur were assassinated because they knew too much about the murky world of arms deals, are made in a wide-ranging affidavit presented recently to the office of the national commissioner of police, Riah Phiyega, by international weapons dealer Johan Erasmus. Claims of shady deals, industrial espionage and dirty tricks by government officials and high-powered politicians close to the massive South African defence industry’s armaments acquisition projects, are made in the document, writes DE WET POTGIETER. The battle lines were drawn at the end of last year when a “small army” of heavily armed members of the police’s tactical response unit – the notorious “Amaberets” – headed by the Hawks, members of the government’s Crime Against the State (CATS) unit and a top official from Justice Minister Jeff Radebe’s National Conventional Arms Control Committee (NCACC) raided the home and offices of international weapons dealer Johan Erasmus. This time, they turned up only a container of gun oil, but walked away with piles of documents and electronic data relating to Erasmus’s international business dealings. Erasmus, an international dealer in weapons of war (including weapons of mass destruction) does not mince words when he talks about the dirty tricks of his trade. He told the Daily Maverick soon after the raid that it had been staged in order to destabilise his business. Erasmus blamed Armscor officials for attempting to steal his prospects and secure better contracts for themselves at arms factories in China. Behind it all lies the multi-billion rand refurbishment of the South African National Defence Force. January Masilela died a horrific death on Sunday morning, 24 August 2008. His body was burnt beyond recognition. Officially, he died in a car crash shortly after 6:00 on a freeway off-ramp near Bronkhorstspruit. He “apparently” lost control of his speeding BMW X5, which soared over a stream, spun round, landed in the road and burst into flames. He managed to get out, but burnt to death next to his vehicle. Ten months after Masilela’s fiery death, assassins dressed as Johannesburg metro police gunned down international weapons dealer and police reservist Ivan Monsieur on a quiet road in Midrand. Monsieur knew too much, the Daily Maverick was told. The 56-year-old Belgian-born South African was the whistleblower who blew the lid off the multi-billion rand secret export of the country’s excess weapons arsenal during Thabo Mbeki’s presidency and Masilela was instrumental in instituting a damning forensic investigation into these shady dealings. According to police and intelligence sources, the investigation into Monsieur’s death was deliberately stalled from high up in government to conceal the reasons for his assassination. Masilela, who had served as secretary of defence since 1999, was regularly at loggerheads with senior subordinates and was also involved in scores of lawsuits against the military over irregularities in suppliers’ contracts. To date, Masilela’s death is still officially regarded as a simple car crash and Monsieur’s assassins remain free. Erasmus’ statement to Phiyega includes allegations against the director of compliance of the NCACC, Vanessa du Toit; the commanding officer of the South African Special Forces, General Rudzani Maphwanya; and his senior staff officer, Colonel DB Smit. Erasmus and Monsieur had convinced Masilela at the time to institute the forensic investigation by First Consult into Armscor’s arms deals. In his affidavit Erasmus alleges, among others, that he got to know Du Toit, who was behind the raid on his premises, a lot better during the investigation by First Consult into the issue of the export of redundant ammunition by Armscor as well as the export of 320 Ratel infantry fighting vehicles (IFV) to Jordan. According to Erasmus, on Masilela’s instructions this investigation commenced, along with the investigation into the 320 Ratels, which were exported by for less than their scrap value. What transpired later was that the Ratels were apparently sold at less than their scrap value (a second-hand Ratel solds for about R3,4 million and upwards). “According to the calculations Monsieur and I made at the time some R600 million, up to more than R1 billion, was parked offshore. In this regard Vanessa Du Toit must be held personally liable for the loss the state had suffered due to her negligence,” alleges Erasmus. He also claims in his affidavit that Masilela and former president Thabo Mbeki had obtained a uranium concession from the president of the Central African Republic (CAR). In April 2010, a judge from the Gauteng North High Court obtained a statement from a Mozambican hitman, “Josh”, in which he claimed that he and another hitman were hired to kill Masilela and made his death appear to have resulted from a car accident. Masilela, who hailed from Mpumalanga had been part of the old Eastern Transvaal/Lowveld underground cadre of Umkhonto we Sizwe that operated under Mathews Phosa in the region. These revelations emerged when the judge, seven senior government officials from the Department of Justice, and two businessmen met with the hitman at the Nerston border post between South Africa and Swaziland. 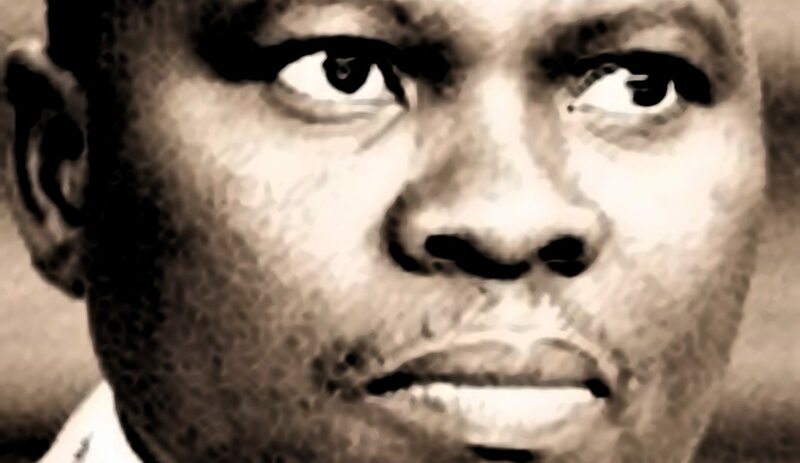 It was reported in the local media at the time that “Josh” (the name is known in the underworld), made a 15-page hand-written confession and also named the high-powered people who hired him to assassinate Mbombela municipality speaker Jimmy Mohlala in January 2009. Erasmus’s woes began earlier last year earlier last year, when two consignments of weapons – one the new-generation RPG missiles from Bulgaria, the other a Gatling mini machine gun from the US – which are regarded as weapons of mass destruction, were seized as a potential national threat because they were suspected to be destined for use in a Boeremag coup. Now, those seized arms have been transferred to a less secure storage unit, a move Erasmus has questioned, considering they were ostensibly seized for reasons of national security. According to Erasmus, the seized armaments were imported into South Africa because the SANDF’s Special Forces unit was interested in acquiring these weapons for its arsenal. Erasmus said the Dillon Gatling gun had been on the SASF’s shopping list for the past 20 years. However, in order to have a gun available for testing it had to be bought from Dillon. This was a condition set by Dillon; SASF did not have the money in its budget and could not pay for it. “In replying to all the affidavits deposed to by Vanessa Du Toit, I wish to point out the following, that the sole aim of her operation was to sabotage our business, discredit us in the eyes of the world whilst blatantly lying. Due to the Hawks being led by the nose, they willingly followed her word- despite the fact that they also have an onus to conduct their own investigations,” Erasmus alleges in the affidavit. Not one of the government departments implicated in Erasmus’s claims responded to written requests by the Daily Maverick for a response. January “Ché” Masilela’s name will forever be remembered in Pretoria where once was Louis Botha Avenue. He was a soldier and a man many people remember. Photo of January Masilela by Raymond Preston.